If you are looking for a children's hotel in Diano Marina in the beautiful Riviera dei Fiori, Hotel Gabriella is the right solution for you! 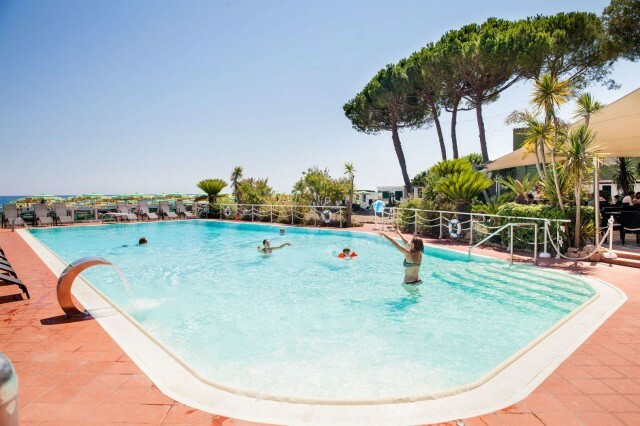 Located right in front of the sea, it is equipped with all the amenities and facilities for children and families who choose to spend a family-friendly-holiday in Liguria. The private beach - equipped with playground - is reachable directly from the hotel without any danger of crossing the road, the bottom is degrading and the sand is very fine. The rooms are equipped with cots and kids beds and a small kitchenette is available for moms who want to prepare baby meals. We will take care of you at special Family rates!